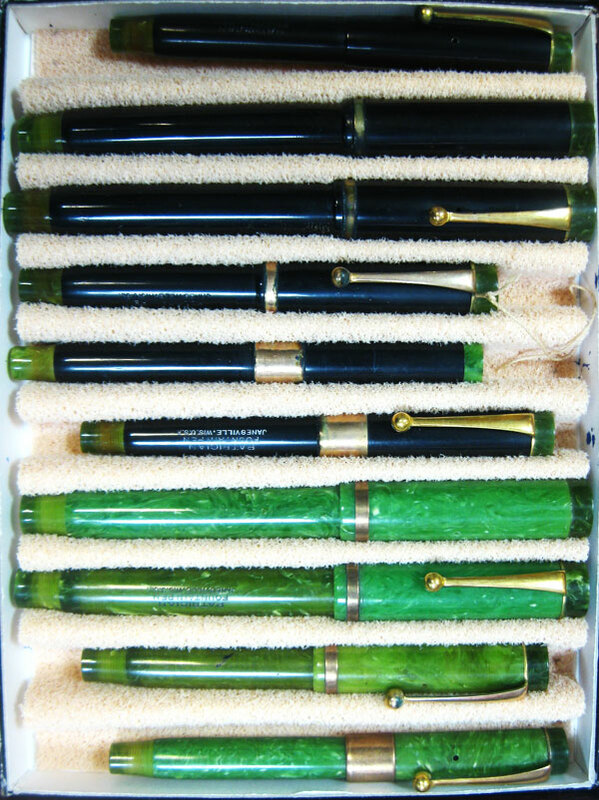 he prominent Parker collector and author, Mr Daniel A. Zazove, wrote an article about the Patrician Pen Company of Janesville, Wisconsin. 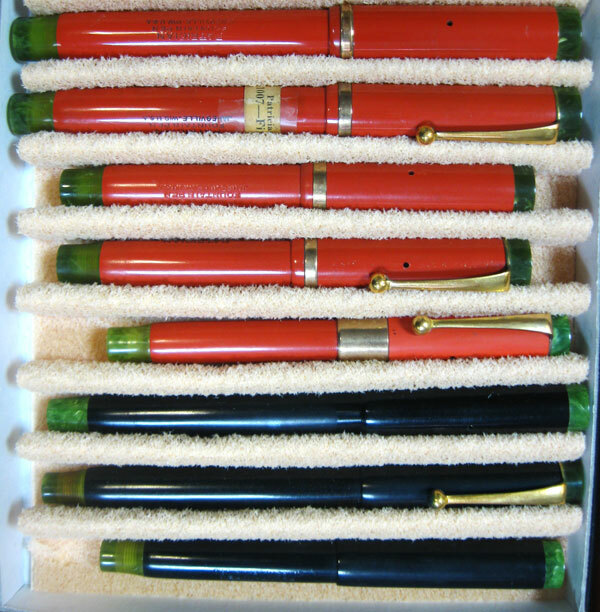 He argues that the patent date of pens depicted in a 1905 cataloge shares the date with a patent issued to George Parker for the spearhead ink feed. This is strong circumstantial evidence that Parker was the owner of the Patrician Pen Co. Later, in 1921, when the first Duofolds were being advertised they were referred to as the "Patrician of pens". 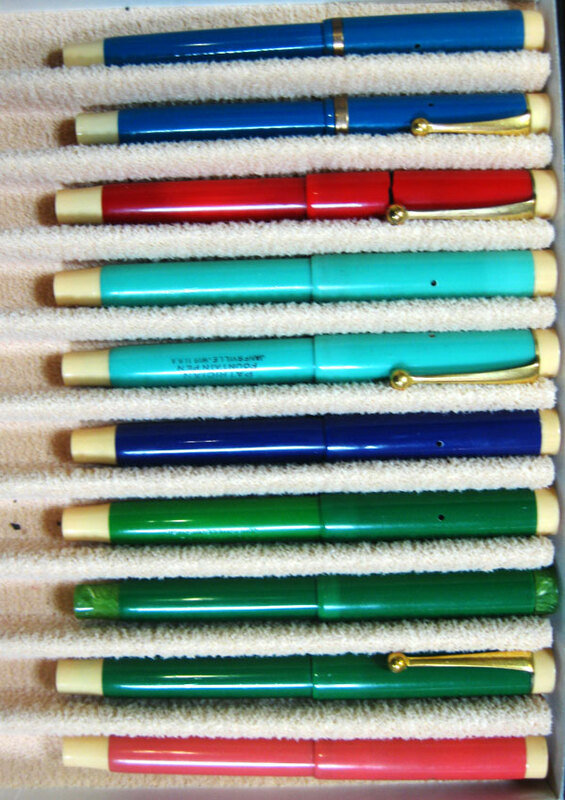 Mr Zazove also refers to a Parker internal memorandum from 1927 which explains Parker's offering of the Patrician as a cheap line of pens from inferior parts. 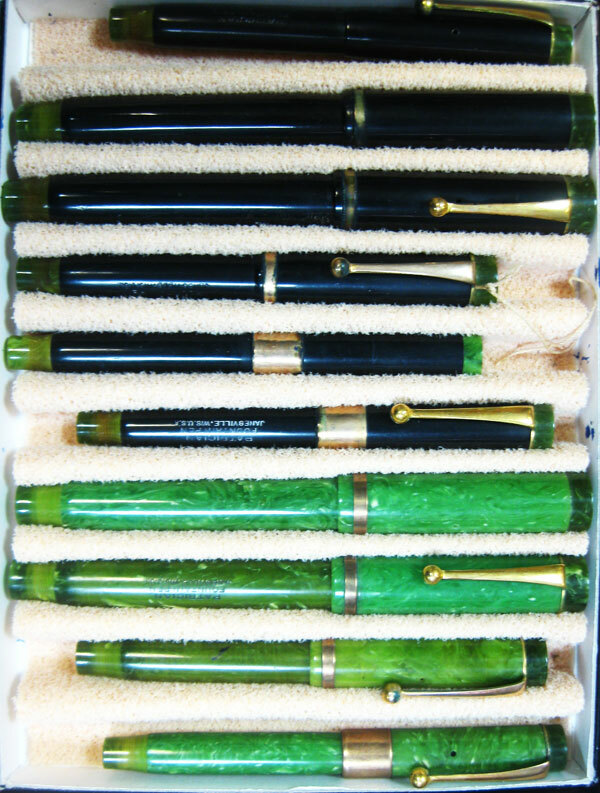 "The Directors of the Company have decided to put out a new line of pens known as the Patrician Fountain Pens, to be made from seconds- that is, pens now thrown out for minor defaults ... 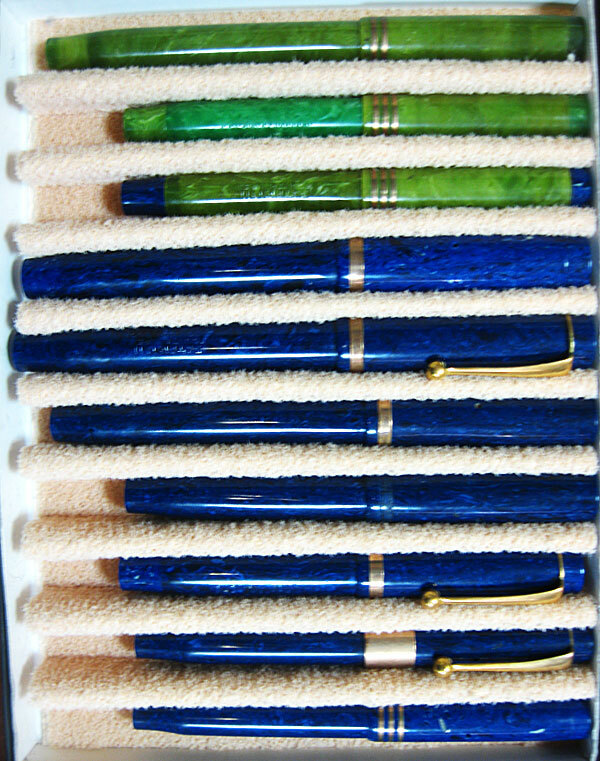 In this connection, the holder of the pen and the gold nib will not have the Parker stamp. The gold nib will be stamped 14K and will be made of less weight of gold and cheap iridium. The holder of the pen will be stamped PATRICIAN. The clip will be blank and will be made of very thin plate stock." 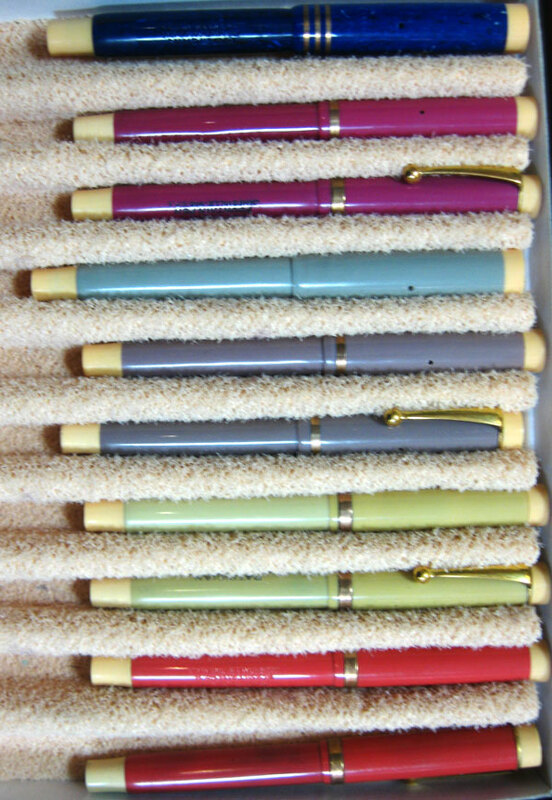 Parker never advertised this the Parker Patrician line but it was offered both in the US and the UK. According to Mr. Zazove the examples from the UK appear to be of higher quality with slightly different clips, and have blind caps and inner cap of different color from those distributed in the US. They are considered quite rare. 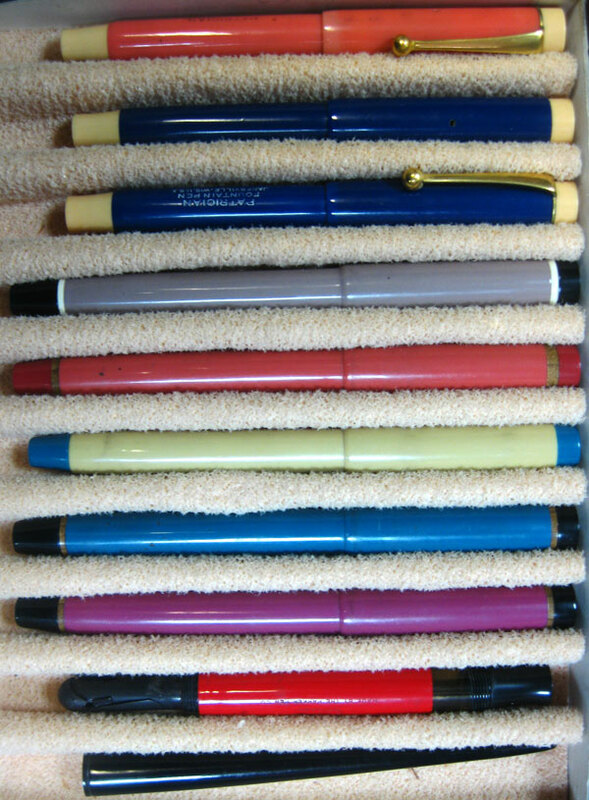 Images © 2009 Tony Fischier courtesy of The Parker Pen Company Archives.